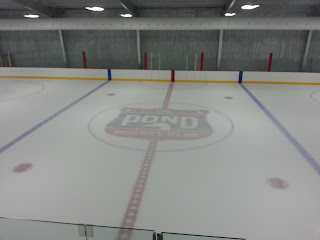 Center ice at the new rink, The Pond Hockey Club. It's been a long time coming, but Pond Hockey Club GM Jerry Taylor is excitedly anticipating the sounds of skate blades cutting up Austin's newest hockey rink near 183 and Mopac next month. A tour through the facility reveals that there is much work to do on some of the rooms around the ice surface, but the 'pond' ice surface itself is mostly ready for action. Taylor gave me a tour of the new facility on Wednesday morning, as nearly a dozen contractors and subcontractor worked feverishly to help ensure the rink can acquire its temporary certificate of occupancy from the Austin fire marshal and get the building in shape for its first planned events in the coming weeks. The long-term goal for the facility and for hockey in Austin is to prepare its youth program to send players to Division I programs across the US and even into the juniors system in Canada. To get there, Taylor says, "the ultimate goal is to get triple-A teams at every level in the Austin area, not just midget but all across the age groups." Along the way, The Pond has many built-in amenities and activities planned to reach that goal. The Pond will have all the usual items you would find in a hockey rink, including four locker rooms, to allow back-to-back games, and skate sharpening facilities. The rink will also have a vending machine in lieu of a pro shop for items such as tape, laces and wax. A women's only locker room is also under construction. What sets The Pond apart is the off-ice facilities that the rink will include. A skatemill, and shooting lanes and shooter-tutor areas (both with synthetic ice) will complement a dry-land training area designed around the building key compentencies for maturing hockey players including explosiveness and agility. All of this is upstairs overlooking the ice surface. Immediately below the training area, there is a climate-controlled 'warm-viewing' room for parents. This room and another 'coaching' room will feature a live video feed of the ice, allowing parents to watch action all over the ice from the warm room or allowing coaches to review game tape, which will be recorded. A lot of work was done to ensure that The Pond is financially sustainable moving forward. The prospect of keeping a rink at 55 degrees during an Austin summer is a costly venture if not planned for properly. The walls are specially made to keep in the cool as much as possible with vapor-lock and radiant barriers. The club also invested in a state-of-the-art dehumidifier to keep the air crisp at minimal cost. Panoramic view of The Pond. The smaller ice surface will have new and very different rules to keep the promise of increased touches and shots for every player. 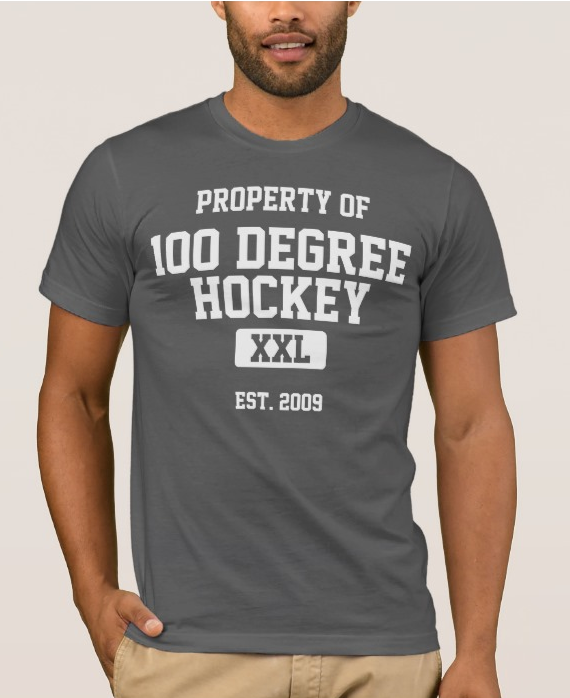 Overall, the ice surface is shorter lengthwise and every dimension was changed proportionally from there except for the distance from the end boards to the goal line, which stayed at eleven feet. For example, the faceoff circles are now 22 feet in diameter instead of the normal 25. Teams will play two 25-minute run-clock periods. To keep the action going, the play will barely ever stop. Minor penalties will be gone, replaced instead with penalty shots where all players can pursue as long as they start behind the far blue line. When goalies cover the puck, attacking players must individually tag up at the blue line but can turn right back around to forecheck once they have. Even when a goal is scored, the goalie and defending team must fish the puck out of the net while the attacking team tags up at the red line and then is allowed to attack again. If the puck goes out of play but then comes back in (off the roof or off the netting and back in) play won't stop either. There is no doubt this is going to be a fast-moving game. The first event open to the public, a charity tournament benefiting sled hockey teams in Austin, is planned for September 14th. Players of all levels are welcome to come out and join the event, details for which can be found here. After the 14th, the rink plans to host its first leagues starting September 19th with C league. Leagues are envisioned to contain 4-6 teams consisting of ten players and a goalie each. Each team will play ten games and get a single playoff game. Another benefit is the set schedule for games. C league will always play games on Thursdays while A and B will play on Sunday. The bring-your-own-team mixed league is anticipated to play on Saturday. Taylor anticipates opening registration for the fall season sometime the week of September 4th. 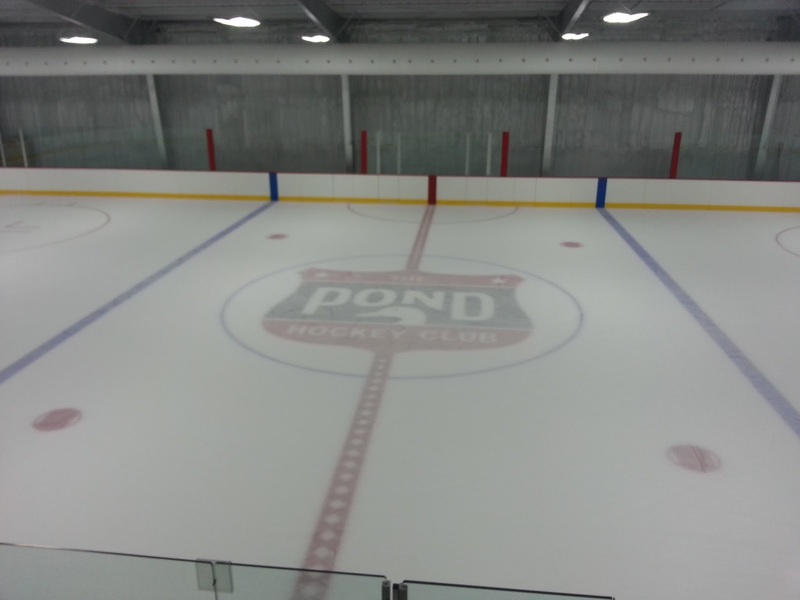 You can learn more about The Pond at their website, pondhockeyclub.com. A welcome addition to the hockey scene -- congrats to the crew at the Pond!